Mumbai, July 26 (IANS) Choreographer Terence Lewis, who has been awarded the Valerian of Alternate Education Award by the makers of the film “Valerian and The City of a Thousand Planets”, says he is glad that his work towards establishing dance in the education curriculum is being noticed and talked about. “I am very happy to receive the Valerian award for Alternative Education. 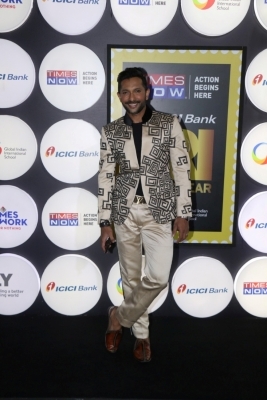 The Terence Lewis Professional Training Institute has been the pioneer in dance education in our country India and this gives me great honour to receive this award for the work that we are doing, empowering lives of dancers,” Lewis said in a statement. “Thank you so much Valerian for recognising me and my teams work in the dance education,” he added. Based on the French comic series Valérian and Laureline, “Valerian and The City of a Thousand Planets” follows spatio-temporal agents Valerian and Laureline as they travel the universe through time and space. The movie stars Dane DeHaan and Cara Delevingne as lead characters. Directed by Luc Besson, the movie will release in India on Friday, a week after its worldwide release. It is being brought to India by PVR Pictures.